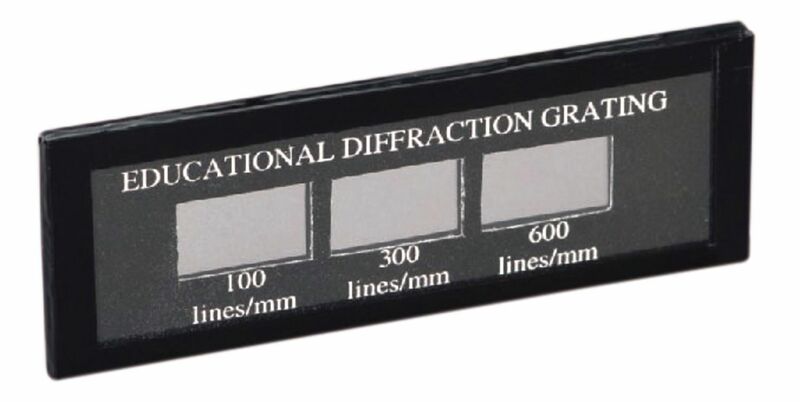 This quality card slide lets you demonstrate and compare the properties of light waves. It features three different diffraction gratings: 100, 300 and 600 lines per mm. The gratings are mounted between glass plates.